It’s a new year – time to start exercising and dieting! But can we stick to it? For many of us, weight loss has proven to be hard to achieve, and to maintain. Each new year we promise to ourselves to lose a certain amount of weight, and we are full of enthusiasm in January. But we tend to stop doing things that matter after the first month or two. Every year, new dietary trends arise from various health and fitness enthusiasts. Many people are always looking for shortcuts that will help them lose weight fast. In past years, we’ve seen the rise of diets like ketosis, paleo, veganism, and more. 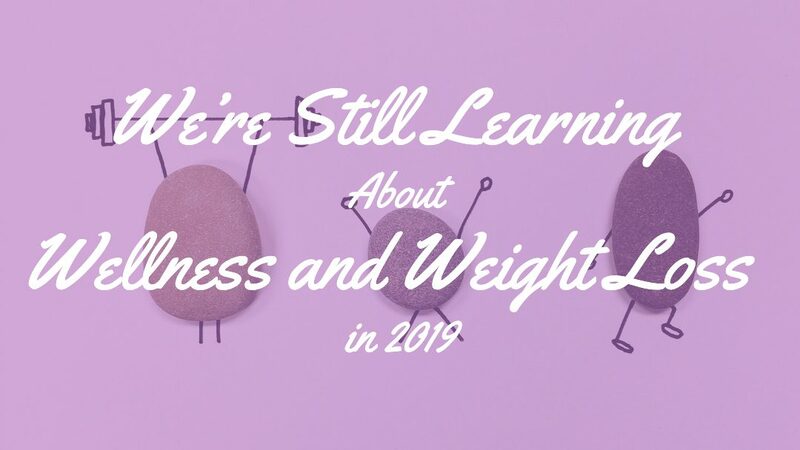 All of them have their own benefits and drawbacks, but what kind of habits we should look now in 2019. While dieting is without a doubt the most crucial part of losing weight, regular exercise can help you lose fat faster. The more you exercise, the quicker you’ll see results in your body, which is a primary goal for most people. How often you work out is an essential factor. Try to maintain a proper frequency of physical activities in your schedule. If you’re extremely busy all the time and can’t fit in a workout every day, you can still be fine getting in two or three times a week. It might seem best to work out as much as you can, but by pacing yourself, you can avoid burning out. But back to dieting habits. One medical study pointed out that more than 40 million people start a diet every year, and most of them probably right after the new year. Lots of time and money are spent annually in the struggle to lose weight. But despite those efforts, over half of the people on a diet will fail. Are those failures caused just by not recognizing the diet reward and penalty system? You need to change your behavior. So knowing that there are penalties in place works to change the behavior. That, in turn, is a good motivator. You can easily set a diet reward and penalty system in place in your own life. Hopefully, with the help of that, you find the weight loss success that may have escaped you. What Goals and Action Steps to Set up? The area that leads most dieters off the right track is to set goals. They either don’t set goals at all, or they start out with unrealistic goals. Let’s say we want to lose a certain amount of pounds. The psychology of dieting makes people focus on the total goal, such as wanting to lose fifty pounds. What most people fail is they don’t break the goal down far enough. You should cut that weight loss into actionable steps. An overall goal, a big picture, is essential. But it is more important to think about those small steps you need to take to reach the bigger goal. Steps should have an end target that is easy to manage. Next, you need an action plan. What hinders the majority of dieters is that their action plan is not realistic. They might write down a goal that they want to lose all that fifty pounds in a month. That kind of goal setting is a recipe for failure. It leads to frustration and disappointment when you don’t make that goal. And if you really try weight loss too fast, it could lead to health problems. The action plan should include simple, achievable steps. You should think about those short-term goals that all point toward your long-term goal. As you achieve short-term goals, it will motivate you to keep going toward the overall goal. Your steps might be things like cutting back on the number of calories or limiting your carbs. You might create an action plan that eliminates foods that are your trigger foods and replace them with ones that help you stay on track. You should include something that keeps you motivated, like room for treats. That is part of our reward system, and it keeps the brain motivated. This treat doesn’t have to be food related. In fact, shouldn’t be. Food treats feed into the cycle of using food as a reward. Using food to reward ourselves can lead to self-sabotage and weight gain. Make sure that you keep records of how active you are, and how much you exercise. Keep note of what you eat, the number of calories or carbs. Have a weekly total of the pounds or inches lost, don’t worry about that on a daily basis. The reason for keeping track is that when you feel less motivated, looking back at what you achieved helps you motivate again. the effort of tracking your successes. Trying to lose weight can be difficult enough, but you’ll fare better when you drink lots of water along with your efforts. One benefit of drinking water is that it will cleanse your system. It functions better – which means burning fat calories. We will continue in a couple of days with part 2 of this post, How to use Activity and Diet Rewards to keep us on track.